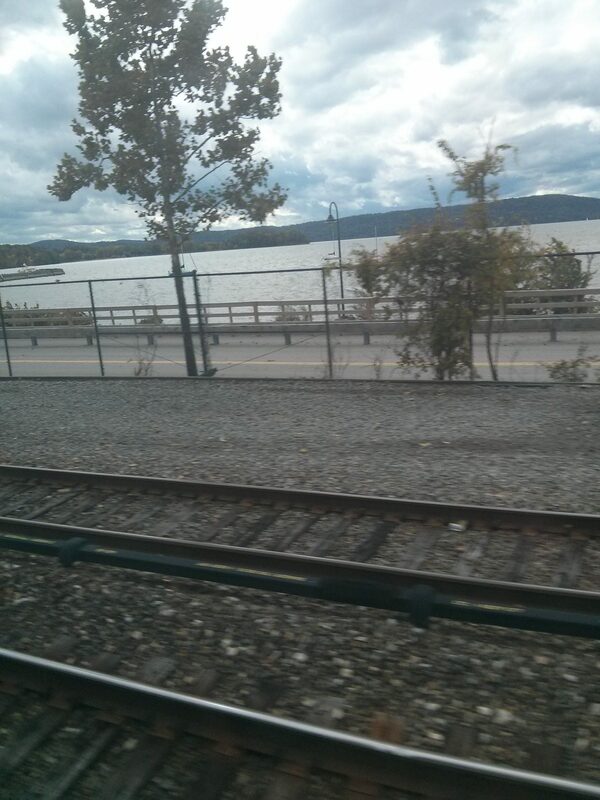 Last week I took a couple of train rides to attend a workshop. 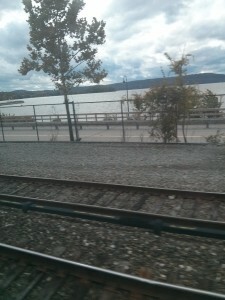 The first was south along the Hudson River to NYC, and the second east along the Connecticut shore. I was struck by how much opportunity there was for vision practice, just with what was presented to me, without me having to look for something extra. The first thing I realized was that the forward motion of the train was like a constant Long Swing, the view easily sliding past my gaze. Like with the Swing, there was no point in trying to hold onto a particular scene, as it would soon slide behind me out of sight. What great practice in “letting go”, which so many of us have trouble with. And there was always something new and interesting coming into view! The next thing I noted was how much near detail, and also far detail, there was for my eyes to play with. Man-made angles and corners appeared for me to trace visually, as well as Nature’s curves and depth. I saw tugboats and sailboats on the river, as well as houses on the far shore a few miles away. I also saw nearby signs with lettering of different sizes, forming a natural eye chart. 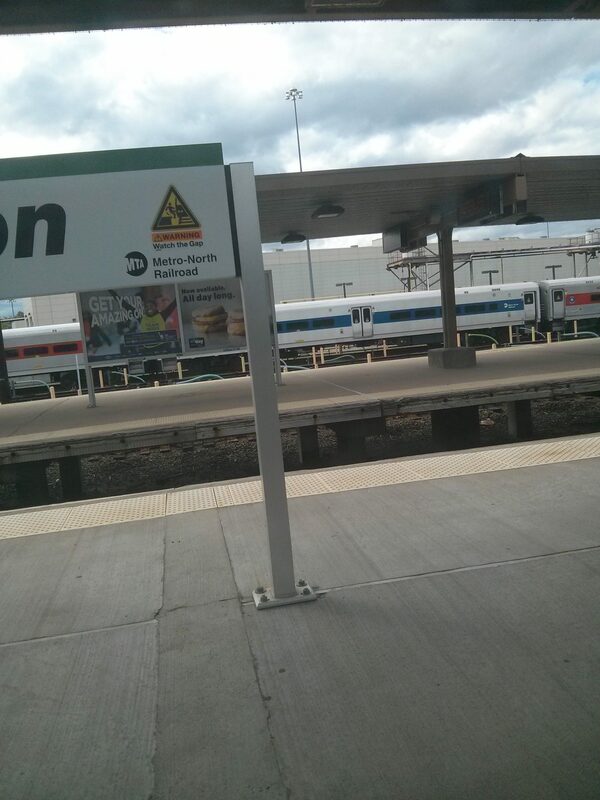 Years ago I rode the train between home and college. 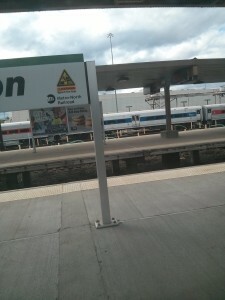 Back then I was wearing a strong -10 prescription, and I remember that looking out the train window gave me a headache. It’s possible the windows are cleaner now. It’s also true that I am not straining to see nearly as much as I was, trying to hang onto the view and fix it in place. As Dr. Bates said, Life moves, which is obvious when you’re on a train. I am finally learning to let it move. So is there somewhere in your life, with your vision or elsewhere, where you are trying hard to “make it better”, but not enjoying that? See if you can be more relaxed about the process, being in Allow Mode rather than in Trying Mode. Things seem to flow more smoothly when you’re not pushing and forcing them, like a train gliding easily along the rails. Enjoy the ride! Next Next post: What Did You Make It Mean?